The investments can be done in many forms and there are the effects of the investment, which may face by the firms. However, the real assets could be defined as the physical or tangible assets; they have the correlation with stock and bond, the tangible assets that have the value, relate to the properties and substance, the real asset could also be defined as the commodities, agriculture land, precious metal, real estate etc. To bring the risk level down, the investors like to deal with the real assets, this includes the risk level down. If compared to the bonds and the stocks, the real assets have the lower risks in the market. The investment portfolio, when in form of the lower risks assets, the investments become more balance with the real high rate investments. The investors can check out the company real possessions through investing the smaller or lower risk assets. The investment can be effected in various circumstances, as there could also be the benefits, during the inflation; the real assets can be the well suited and can outperform the financial assets (Damodaran, 2010). For any of the firm, capital budgeting can be the most important process, in the process, the companies has to decide about the long-term investments, which can give them the benefits, however, the capital budgeting can give the benefits in the future and need be done efficiently, so that the taken up projects should not be discard. There is the need to make the right decision, the companies need to know the cash flows for the projects and need to consider the caudal budgeting. However, the NPV (Net Present Values) and IRR (Internal Rate of Return) can be useful in such matters. NPV can be described as the decision tool, which is effective in the evaluating process; the calculation or analysis can be done on the cash outflow and the cash inflow. The IRR is used to determine the return on the investments and experts can realize the particular projects. However, the internal rate is defined by the discount rates. There is also the payback period, which can determine about the initial investments included in the simple decision tool. The process is based on the capital budgeting, the annual payments of the projects are calculated, however, there can be information about the various projects that the company has made or invest on, the risks are also known. The projects can be evaluated and compare with the unequal lives, the projects are independent, however, it is not critical to know about the length of the project, the lived projects are mutually exclusive and the impacts of differing lives must need to be considered or over comparable at the specific time period. The best project is selected in the process; there are the involvements of the capital budgeting decisions that are based on the value of the annual net. There is the need to compare and evaluate the project under consideration, so that the services can be continued, however, it is important to compare the projects so that the highest NPV can be selected. Example, at a company, through evaluating the project with the unequal lives, the relevant cash flow of the project can be known and cost of the capital, while evaluating the risks can also be known (Gitman, Juchau, & Flanagan, 2015). There are a risk on the real investments and the risks are needed to be known, the interest rate risk is the risk that have the fixed rate and there could be the decline in the value if the there is a rise in the interest rate. 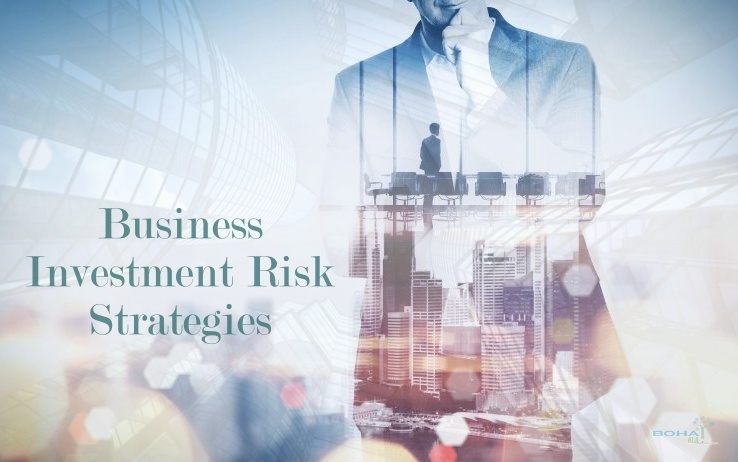 However, taxability risks, credit risks, and business risks are also, there, of the business risks, there are the risks that are associated with the particular securities. There are the specific issues with the security, moreover, the issues may be with the stock or the bond, credit risk can be there if the particular bond issuer is not able to make the expected interest rate. Moreover, if the credit risk is higher than the interest rate on the bond will be higher. There are also the inflationary risks, associated with the value of the assets, the liquidity risk depends on the buying and selling of the investments and market risks are there. To deal with the risks or to get safe from the risks there is the need to do the investments through the value at risk, shortfall, comfort, volatility etc. In the computer simulation, the technological advancement can be there, however, the analysis can be done by using the statistics, which is very important, to know or determine the risk , in any of the projects. Using the computer simulation and the statistics the good analysis of the projects can be generated, as per assessment. However, the statistics and simulation are useful in the reduction of the risks as there are the more informed decisions, the projects can be finalized easily, as there is the determination about the projects, on which the assessments or the money is going to invest. The goals of the businesses can also e achieved if the risks are already known and the company knows, about the possibilities in the future. If the risks on the investments are reduced, then the ultimate goals of any organization or the business can be achieved, moreover, the stakeholders can also be satisfied in the case. However, statistical analysis and the computer simulation provide and useful for the detailed information about the projects or the risks that are involved in them, the decisions, in this case, can be taken successfully (Balakrishnan, 2010). Balakrishnan, N. (2010). Methods and Applications of Statistics in Business, Finance, and Management Science. John Wiley & Sons. Damodaran, A. (2010). Applied Corporate Finance. John Wiley & Sons. Gitman, L. J., Juchau, R., & Flanagan, J. (2015). Principles of Managerial Finance. Pearson Higher Education AU.